Being healthy is always beautiful. 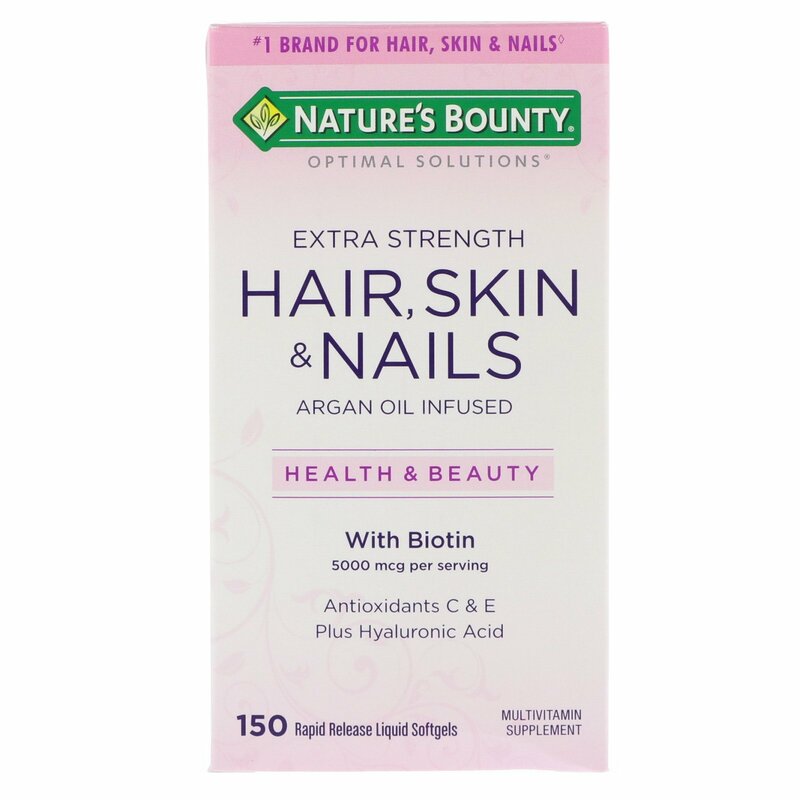 With Nature's Bounty Optimal Solutions Extra Strength Hair, Skin & Nails formula with Argan Oil you'll look good and feel great! It contains just the right balance of nutrients to support lustrous hair, healthy nails and vibrant skin. This innovative formula provides you with the vital nutrients and ingredients in beauty care to support your natural beauty from within. 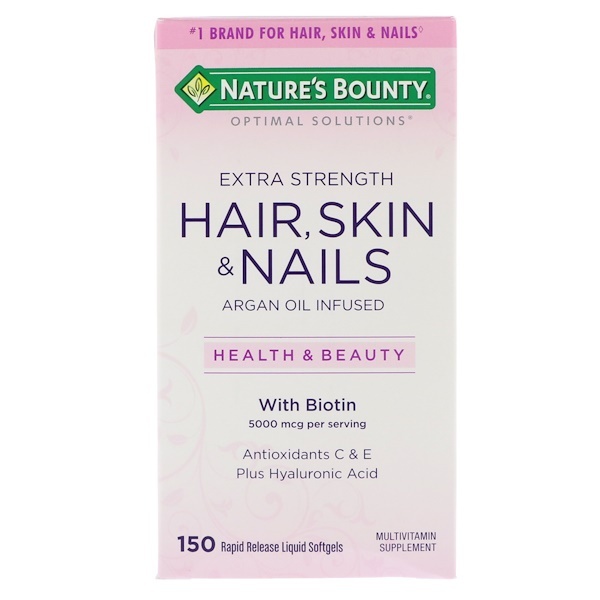 High potency B Vitamins help with energy metabolism and Biotin helps to maintain healthy hair and nails. Vitamin E is an antioxidant and Vitamin C is involved in collagen production and formation, which forms the basis for vibrant skin. Vitamin A assists with skin maintenance and overall health. At Nature's Bounty we believe health and beauty go hand in hand. With over 40 years of making quality vitamins and more than 20 years in the beauty business, you can trust that every Nature's Bounty product is backed by science, and made with only the purest ingredients...guaranteed. Beauty Starts on the inside. ♦Source: Nielsen xAOC 52 weeks ending 2/21/16. 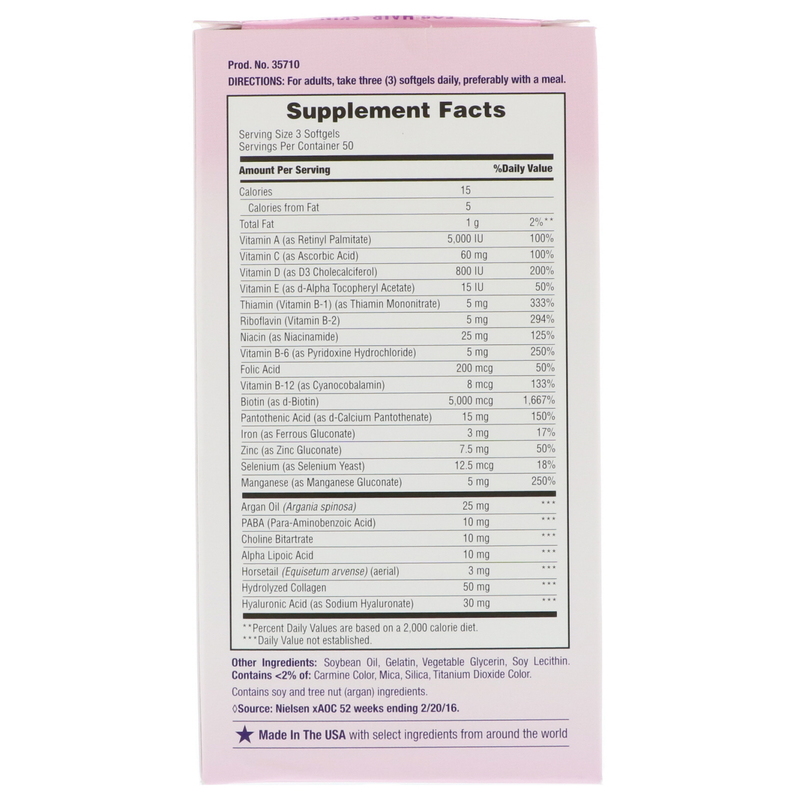 For adults, take three (3) softgels daily, preferably with a meal. Soybean oil, gelatin, vegetable glycerin, soy lecithin. Contains <2% of: Carmine color, mica, silica, titanium dioxide color. Contains soy and tree nut (argan) ingredients. No artificial flavor, no preservatives, no sugar, no starch, no milk, no lactose, no gluten, no wheat, no fish. If you are pregnant, nursing, taking any medications, planning any medical or surgical procedure or have any medical condition, consult your doctor before use. Avoid this product if you are allergic to yeast. 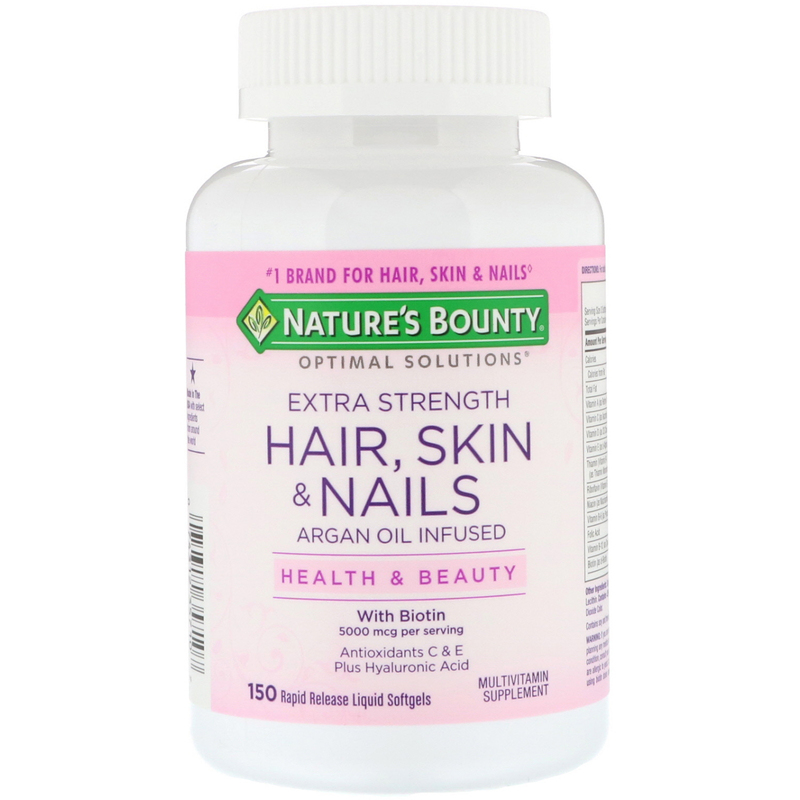 It is advisable to consult your doctor before using biotin doses above 2,500 mcg per day. If any adverse reactions occur, stop use and consult your doctor. Not intended for use by persons under the age of 18. Store at room temperature. Do not use if seal under cap is broken or missing.